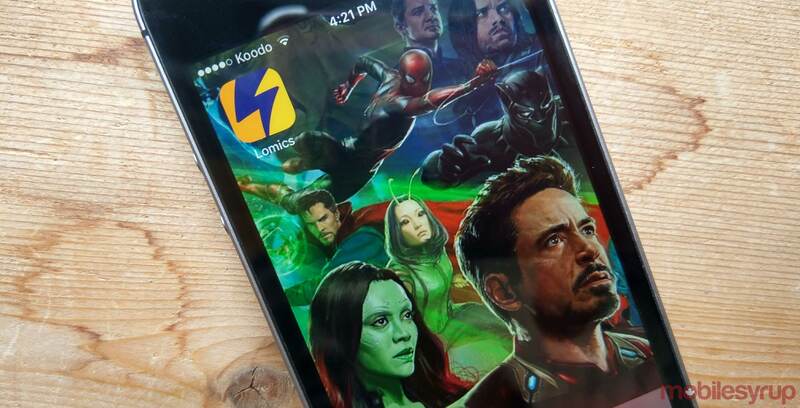 With San Diego Comic-Con wrapping up last week, I thought I’d take a look at a comic book-inspired app. 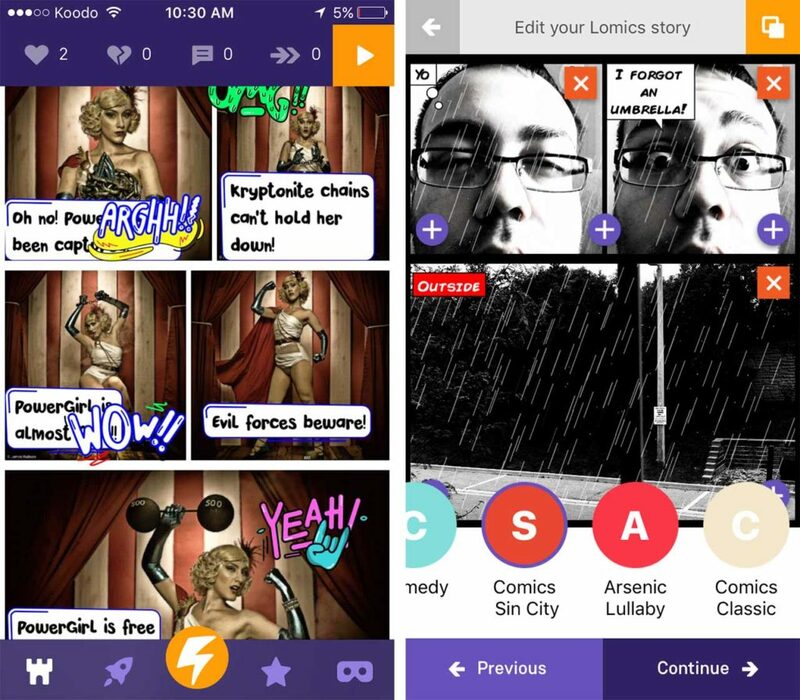 But not one specific to Marvel or DC, mind you; instead, my chosen app, Lomics, or “live comics,” is designed to let you create your own video comic strips. To start, you’ll have to either take new photos/videos or use existing media in your camera roll. Then, you’ll be able to choose from up to 18 comic book styles, including ‘Pop Art’ or one based on Sin City, the 2005 neo-noir, black-and-white crime film. 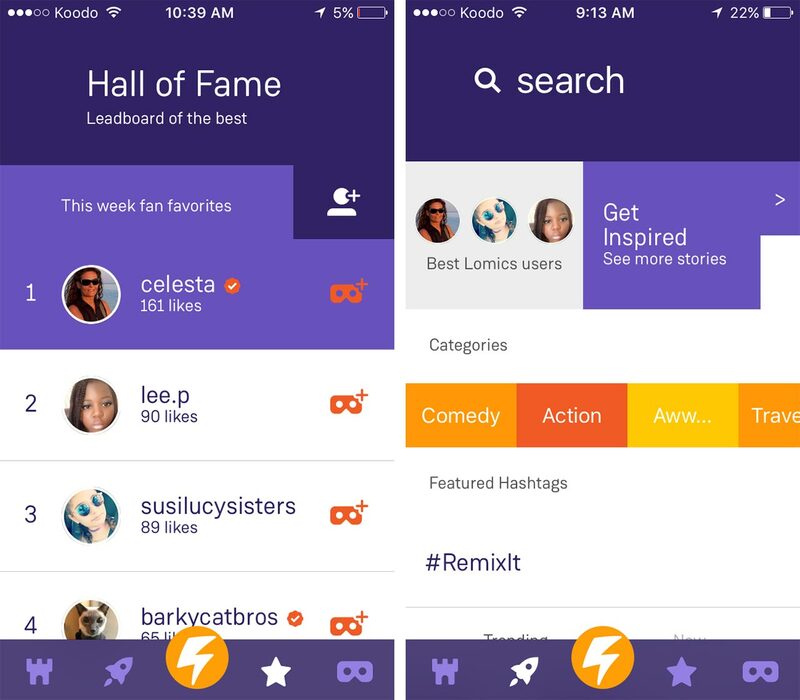 You’ll be able to add speech and thought bubbles, as well as captions, music and other popping effects like ‘Wow!’ And of course, you can share your finished Lomic to social media or save it to your camera roll. I was surprised at how simple dragging, dropping and resizing everything was, even on a rather small phone screen. While my first Lomic was rather crude, I enjoyed making it with the tools provided. What is perhaps the most interesting feature here is you have the ability to ‘remix’ other people’s Lomics. The app makes a copy of the original work that you can then use all of the aforementioned tools to tweak it with. With a bit of creativity, you can come up with some pretty fun video comic strips. Scrolling through all of the various Lomics has brought up some really clever work. I definitely plan to make more in the future. Lomics can be downloaded on iOS and Android.